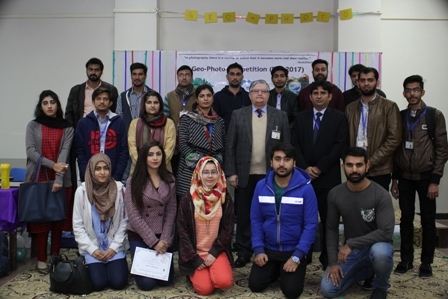 The Department of Geography at FCCU organized Geo-Photo Competition for the students on Monday 8 January 2018. The participants submitted photographs of nature and geographical subjects that they took during the semester. The first three positions were awarded shields and certificates, while runners-up were given consolation certificates. The event was graced by the presence of Dean of Social Sciences, Dr Sikandar Hayat and Geography Chairperson, Kashif Shafique. Dr Hayat appreciated the students for their participation in the competition and encouraged them to keep participating in such events. 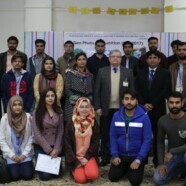 The competition was held by the Dean Geographical Society (DGS) under the supervision of Assistant Professor, Dr Khadija Shakrullah; Lecturer, Hafsah Batool and Society Advisor, Adeel Ahmad.